A nail salon designed by medical professionals. 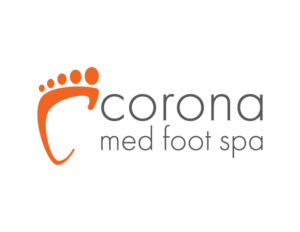 At Corona Med Foot Spa we are committed to the highest standards of hygienic nail care. We offer Medical Manicures, Pedicures, Nail Trimmings & Filings along with Keryflex Nail Restoration services, to meet your personal nail care needs. Our medical nail services are performed in the privacy of your own room allowing you to feel secure about your foot care. Rest assured that all our medical pedicure instruments are medically sterilized to the highest standards. We also have our podiatrist on staff, who is a foot and ankle physician should we need assistance. We welcome “at risk” clients, this simply means that we welcome people with diabetes, circulation problems, and autoimmune disorders. We offer a safe place to get a pedicure or manicure.